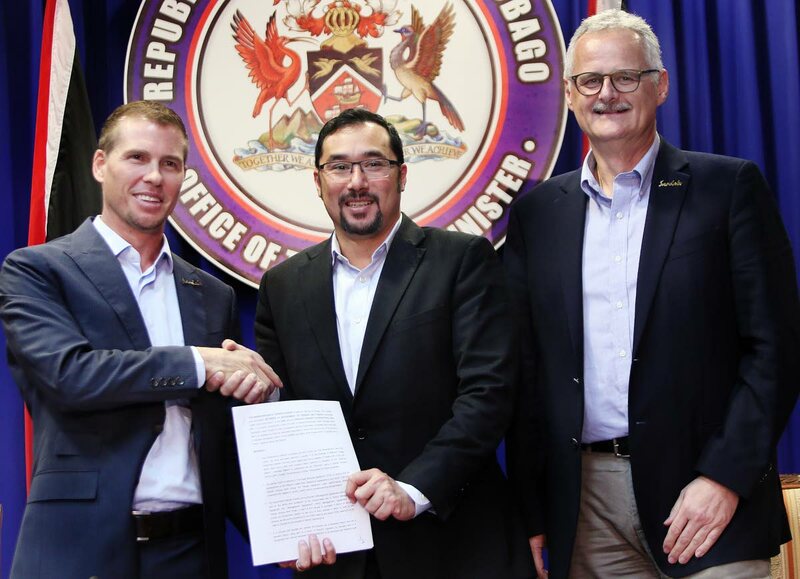 In this November 2018 file photo, Sandals group deputy chairman Adam Stewart and Minister of Communications Stuart Young hold a copy of the MoU between the Government and Sandals for the construction of a resort in Tobago. Looking on is Sandals CEO Gebhard Rainer. Tobago is at a watershed in its development. The island's struggles with its tourism-driven economy, further hamstrung by breakdowns in air and sea transport, a worrying increase in crime, greatly tested administrators and entrepreneurs in 2018, with at one point some declaring it was the worst year in recent times. However, there are stakeholders who see opportunities to arrest the downturn with the timely execution of projects, among them the Sandals resorts, despite objections on environmental grounds, and plans to increase airlift and add new ferries to the sea bridge. The Tobago House of Assembly in a statement to Business Day set out a road map to growth and identified airlift capacity, sea bridge, tourism, new business, agriculture and fishing and energy as some areas where there was potential in 2019 (See Page 5). Stakeholders in the tourism, construction and business sectors similarly share a cautious outlook. Immediate past president of the Tobago Hoteliers Association Nicholas Hardwicke, TT Contractors Association (TTCA) president Ramlogan Roopnarinesingh and former president of the Tobago Division of the TT Chamber of Industry and Commerce David Wong all weighed on these matters. "The biggest economic challenges were undoubtedly the enduring saga of solving our inter-island transportation issues and the slow progress of resuscitating Tobago's ailing tourism sector," said Hardwicke, "and substantially increasing international visitor arrivals." On transportation, Hardwicke emphasised the impact the problems on the air and sea bridge had on tourism. "Unreliable, unsuitable ferries and a lack of options on the air-bridge continues to undermine confidence in inter-island transport and stifle attempts to grow Tobago's tourism sector and by extension the island's wider private sector economy." This year, Hardwicke wants Government to put action behind the talk on plans to turn this around in Tobago. 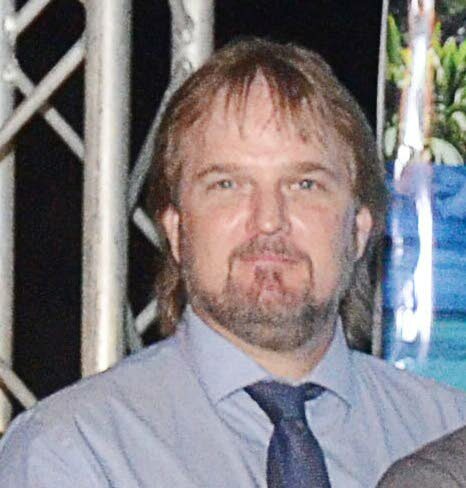 Nicholas Hardwicke, immediate past president of the Tobago Hoteliers Association. "The Government needs to move beyond talking up the potential of tourism and get on with projects like Sandals, the marina and new international airport terminal," he said. Hardwicke observed progress was made by the Tobago Tourism Agency to rebrand the island and noted the launch of an international marketing campaign to boost visitor arrivals. "In time this campaign has the potential, once properly funded, and rolled out in our key international markets to help reverse negative trends affecting the tourism sector and have a positive impact on Tobago's economy," he said. He was hopeful about Government's intention to wet lease a ferry while two new fast ferries are being built in Australia. Government, he said, must lease a suitable vessel to "bring stability, comfort and consistency to the service". "This will give people the confidence to make the journey and to plan their vacation and leisure time in Tobago." Hardwicke remembered in 2002, faced with a similar predicament, the government leased the MV Sonia to provide respite before the arrival of fast ferries. Similar moves need to be undertaken now to avoid the chaos and confusion that has come to characterise our current service destroying confidence in its viability," he said. He cautioned that "left unattended the situation will continue to frustrate efforts to revitalise Tobago's economy and undermine efforts to develop and grow the vital tourism and hospitality sector." With tenders out for a package to upgrade the terminal at Arthur NR Robinson International Airport and improve the island's airlift capacity, Hardwicke said, "The current airport structure can only reasonably handle one international flight arrival or departure at a time." The planned international terminal and the upgrade of the existing terminal for regional and inter-island travel, he opined, "will greatly improve the travelling experience to and from Tobago, increase our capacity to handle additional flights simultaneously and make it easier to attract additional air services in the future." Hardwicke said if Tobago is to be taken seriously as a tourist destination of choice and compete with other regional destinations "then a new international terminal is essential." Construction and resort development were also needed to stimulate the economy, he advised. "There has been considerable investment in two new quality housing developments and one of our major hotels has been taken over by a Canadian leisure group.” Hardwicke did not give the name of the group. "Additionally many tourism-related properties have been investing in upgrading their facilities in the expectation of a resurgence in the fortunes of the Tobago tourism sector," he said. "The potential for business opportunities in Tobago is enormous, especially in the hotel, leisure and hospitality sector and ancillary supply sectors." A lack of hotel capacity hindered opportunities for Tobago to considered for investment by international tour operators and strategic partners such as airlines, he said. This, Hardwicke said, was where the Sandals development would be central to a turnaround. "Developments like the introduction of Sandals have the capacity to help redress such capacity deficits and firmly establish Tobago as a viable year-round world-class tourist destination." Government and Sandals Resorts International signed a memorandum of understanding for the Sandals Tobago project on October 10, 2017. "Despite some loud negative voices, the overwhelming majority of people are privately supportive of the idea and want the Prime Minister and his team to get on with it." 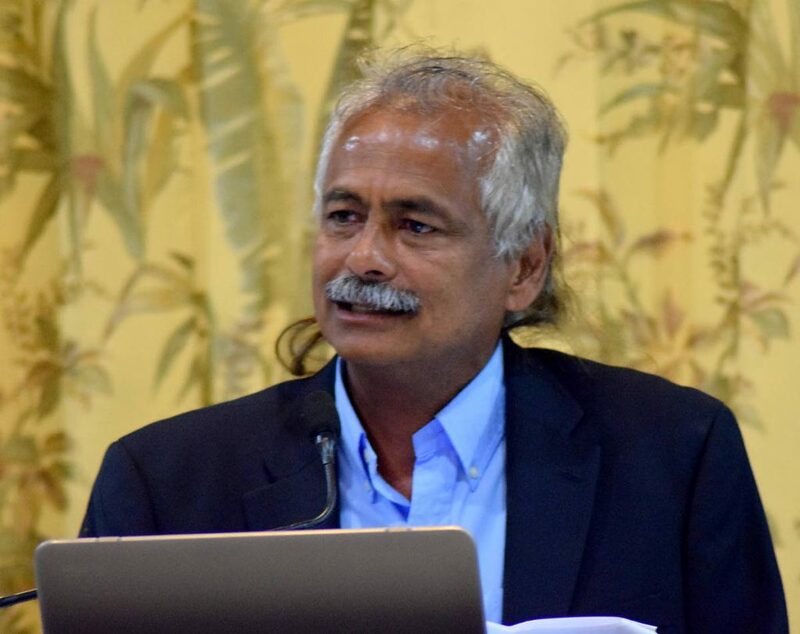 In presenting the 2018/2019 budget in Parliament last October, Finance Minister Colm Imbert described the Sandals project as one of several game changers that would strengthen the economy. "Sandals will positively affect the economies of scale on a wide variety issues vital for tourism and for our overall economic development helping to put Tobago on the map internationally and add stability and sustainability to our tourism sector and other economic sectors that support it," Hardwicke said. He said public concern about the environmental impact of such projects was understandable, but noted that the concept that Sandals sells was luxury surrounded by a pristine natural environment. "Indeed Sandals is likely to insist on proper environmental standards being met and kept which presently are ignored and not enforced." Hardwicke also said the introduction in December of the Canadian airline Sunwing and the prospects for further development of the Canadian market were also encouraging and should be further exploited in 2019. But he cautioned, “Until contracts are signed, sods turned and a time-frame for delivery articulated many investors and business people will remain sceptical about progress and look elsewhere for opportunities." However, should the projects get of the ground, Hardwicke said, "Then there is real reason to believe that 2019 can be a watershed year in our progress and development towards a sustainable and brighter future." Contractors were also eager about the resort development. Ramlogan Roopnarinesingh, president of the Trinidad and Tobago Contractors Association. Roopnarinesingh said the Sandals project could boost the island's economy and provide opportunities for Tobago contractors. There was already a sign of infrastructure development as, he observed, the Water and Sewerage Authority has begun major works to improve water supply and sewerage delivery and believed this was connected to the Sandals project. Roopnarinesingh also said there were other opportunities for contractors from projects out of the THA's infrastructure and agriculture divisions. Attention was being paid to the construction of rural access roads in Tobago for agriculture, he said. "We are looking at a good future if these projects come on stream." Roopnarinesingh said after much lobbying by the TTCA, Tobago contractors were better able to tender for projects on the island. He also explained that under the new procurement system, contractors must be properly registered and said there were approximately 50 to 60 in Tobago. These contractors, he continued, employed an average of 15 to 20 workers. Roopnarinesingh also noted the seabridge woes did not affect contractors as extensively as it did inter-island travellers. He said materials used by Tobago contractors would have been transported from Trinidad on the Cabo Star. While there were delays in the receipt on materials on some occasions, Roopnarinesingh said those delays were catered for by forward planning. Again, Sandals drew support from the business sector. Wong said Sandals, or any other major operation in the tourism industry, would be a welcomed asset. He agreed with Hardwicke that once proper agreements were reached Sandals would be beneficial to the industry and island. He said it was important for Tobago to "be prepared to deliver the best and market it in the right source markets." He said there would always be people looking for a tropical paradise and "Tobago’s tourism prospects are as good as any other destination." 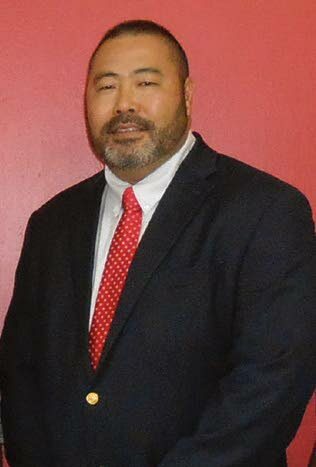 David Wong, former president of the Tobago Division of the TT Chamber of Industry and Commerce. Wong said the arrival of Sunwing Airlines brought hope for increased airlift and also welcomed the upgrade for the airport but said it must include marketing and customer service enhancement which would be key in negotiations to attract other carriers to Tobago. However, he was not very optimistic about improvements to the seabridge. He said, "The service delivered by the vessels is far from the services provided since 2007." On the local business market, Wong observed, "there have been a few re-brands where failing owners were able to sell." He said there were many open and available commercial spaces available and housing developments. And in, a brief comment, on the secondary fishing industry, Wong said, "Greater understanding of the fisheries will be required for a plan to keep the fisheries sustainable and not over fish them." He said there could be potential for sport fishing in Tobago an activity that has been "more or less dormant." Wong said, as "Tobago’s economy is a consumer based one," it pressed home the need for new economic prospects. In June, THA Deputy Chief Secretary and Secretary of Finance and the Economy, Assemblyman Joel Jack made a request for a $4.74 billion budget for Tobago. In October, $2.229 billion was allocated in the 2018/2019 budget. The 2017/2018 allocation was $2.18 billion. Recurrent estimates for fiscal 2019 totals $3.2 billion. Personnel expenditure – $901.2 million, goods and services – $1 billion, minor equipment purchases – $113.7 million, and transfers and subsidies – $ 1.1 billion. This represented an increase of $40.7 million from fiscal 2018. Finance and the Economy: $264.4 million. Tourism, Culture and Transportation: $381.1 million. Sport and Youth Affairs: $97 million.